This revolutionary serum, jam packed with a potent antioxidant complex of 15% l-ascorbic acid, 0.5% ferulic acid and 1% vitamin E, plus other formula-supportive enzymes and antioxidants helps neutralize pollution, environmental stressors and damaging free radicals while replenishing lipids and visibly reducing the appearance of dark spots and wrinkles. 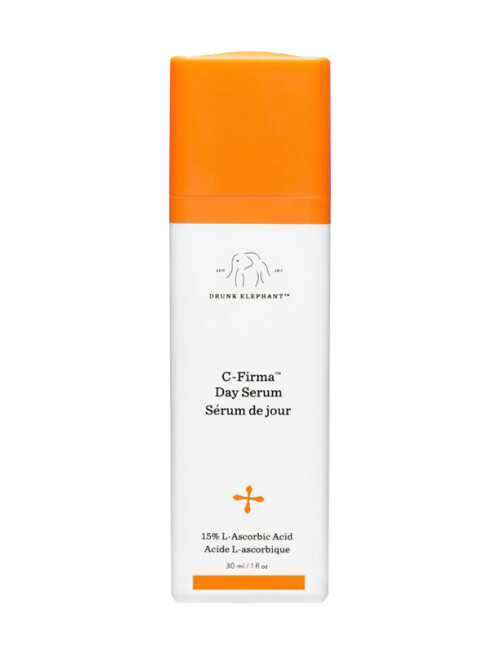 Uniquely formulated with pumpkin ferment and pomegranate extracts, C-Firma™ enzymatically dissolves dead surface skin cells for smoother texture. 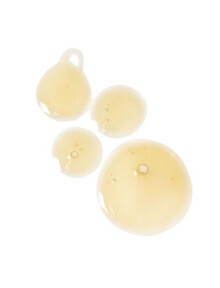 Sodium hyaluronate crosspolymer quickly penetrates skin and provides intense hydration. The result is a noticeably diminished appearance of photo damage, replaced by incredible radiance and luminosity. 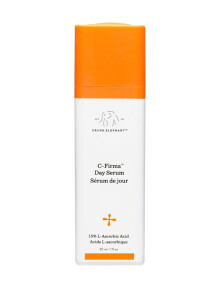 A super-potent vitamin C day serum packed with a powerful antioxidant complex, essential nutrients, fruit enzymes and a chronopeptide that provides the benefits of vitamin D, all working together to firm and brighten the appearance of skin while improving the signs of photoaging. All skin type especially dull skin. 1) In the morning, apply evenly to clean, dry face, neck, chest and backs of hands. -Potent Antioxidant Complex (L-Ascorbic Acid Plus Ferulic Acid 15% and Vitamin E 1%): Works to firm and brighten the look and feel of skin. The name Drunk Elephant is rooted in a myth that says that elephants love to eat the fruit that has fallen from the Marula trees. Once eaten, fermentation occurs inside their very large tummies and the elephants become drunk!Virgin Marula oil, straight from the "pip", can be found throughout their line. It is an oil that is superior to ANY they've tried due to the high content of fatty acids and antioxidants. It soaks right in. The products are all safe, completely unscented and non-irritating. There is no doubt about it, Drunk Elephant was developed with lots of care and love and a large dose of determination.